1. Address your child's anxiety and sensory overload before teaching social skills. Kids who are experiencing high anxiety or sensory overload can't focus on learning new skills, as they are often in fight or flight mode. When kids are in this survival mode, they may not capable of accessing the higher level thinking skills necessary to remember and use age appropriate social skills. Before teaching social skills to kids, reduce or eliminate their sensory triggers and work to calm their anxiety. Don't forget that regular exercise, a healthy diet, and a strict sleep schedule can go a long way in calming an overactive stress response system as well. Once your child is comfortable and engaged, he or she will be better able to respond socially and emotionally. 2. Use social stories, books, and technology to teach your child about different personalities and subtle forms of communication. Kids with social deficits may not understand the perspectives of others, so teaching them about different personality types will help them interact with their peers more appropriately and better interpret social interactions. In addition, teach your child these tips for dealing with bullies so that they can avoid bullying behavior at school. Seek out apps that help children identify emotions, and explain to older kids the meanings of common idioms, metaphors, and other expressive language techniques that may confuse them. 3. Practice common social interactions by role-playing with your child. Once your child understands that people have different personalities and preferences, he or she will be ready to practice new skills so that appropriate social responses become automatic. Pretend to be your child's teacher and peers in various situations so he or she can practice identifying different personality types and giving appropriate responses. Then pretend that your "character" has social issues, and let your child correct your responses. 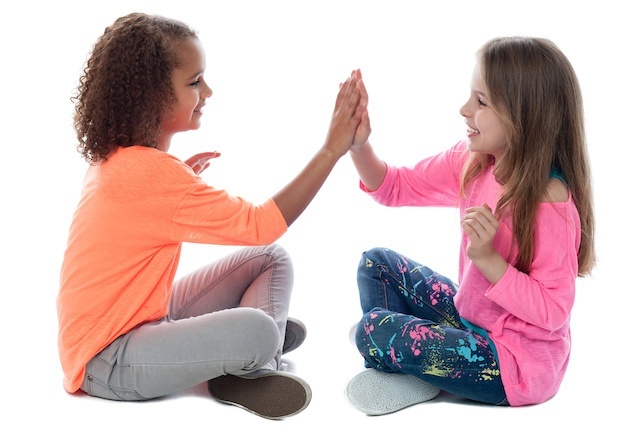 While these types of interactions come naturally to some, kids with neuro-developmental disorders may benefit from this type of direct and repetitive practice to improve social skills. Calming your child's anxiety, teaching perspective and expressive language, and role playing can go a long way in helping kids learn age-appropriate social skills.